When we’ve found a sensational place to set up camp for a week or more, this normally means we’re away from a 240v supply. This isn’t an issue when we can rely on LPG gas to keep food and some drinks cold in an absorption 3-way fridge. Then when you add heating the hot water service, firing up the gas heater, and cranking up the bbq every night into the mix, this is where things can start to get a little tricky. The last thing we want is to pack up and move on from this patch of paradise we’ve found because we’re running low on gas. So naturally we’d like to know how much gas we’ve got left in the bottles before running out leaves us in a complete mad panic as we frantically try and keep our favourite bevie cold. 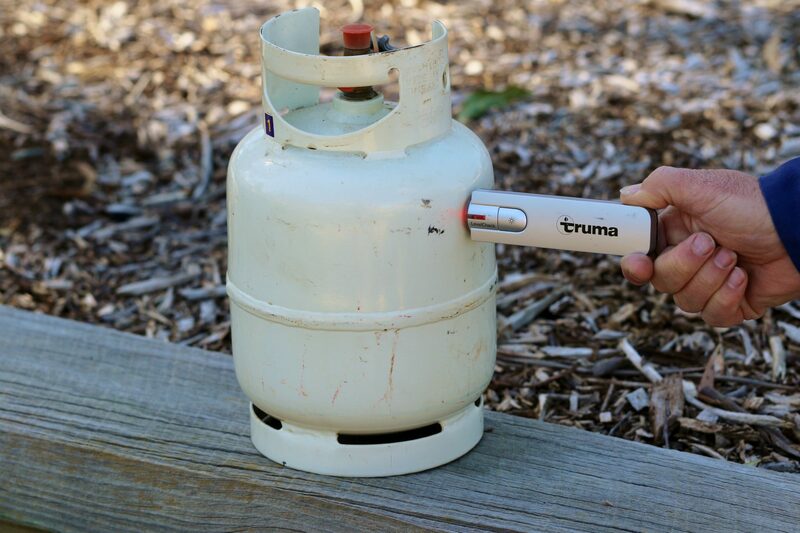 A nifty little gadget we’ve come across for checking gas levels is the LevelCheck by Truma. It weighs as much as a decent size chocolate bar (100 grams), but unlike chocolate, it fits comfortably into the palm of your hand without melting. With something that’s so small and light, it’s easy enough to check gas cylinder levels anywhere you go to. For the LevelCheck to do its stuff, you first need to have steel or aluminium LPG cylinders with a diameter anywhere from 200mm to 350mm – the unit doesn’t work on plastic gas cylinders or automotive propane tanks. A simple 9v battery does the job for the unit to check the approximate level of LPG inside the cylinder using an acoustic signal and a range of coloured LEDs. By no means is using the LevelCheck rocket science. It’s designed to be held horizontal, so point and press it against the side wall of the gas cylinder and press the button. If you’ve nailed it correctly, you’ll hear a beep to confirm a reading is being taken and the unit’s LED status lights flash orange while it searches for LPG gas. If the unit emits a small beep and the orange light changes to green, you’re on a winner. This means there’s gas at the point you measured. Get a beep with a red light, and you know the drill, there’s no gas there. Simply repeat the process up and down the cylinder side wall to find the point where the gas is sitting in the bottle. To make sure the readings are right every time, keep the rubber ultrasound sensing head clean with a quick wipe over with a detergent free damp cloth. Has your regular torch run out of batteries? Let the LevelCheck help here too, as the unit can double as a handy torch with its LED lights. While our camping cupboard may be overflowing with all sorts of stuff we’ve accumulated over the years and don’t use, this is one gadget that doesn’t fall into this category. 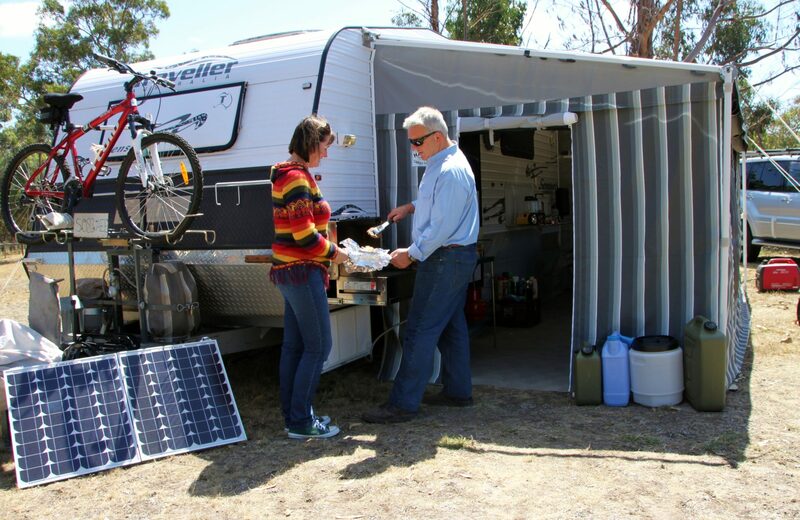 No longer do we suffer the embarrassment where we run out of gas during the middle of a bbq, or need to cut a sensational campsite stay short because we didn’t calculate our usage right. Our only dilemma is remembering to pack the unit for a trip, but that’s another story in itself!